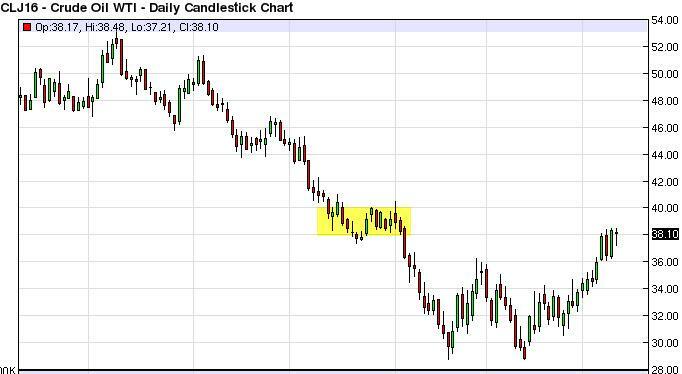 The WTI True Oil market initially fell during the day to continue the consolidation that we’ve seen recently, but by the time we close on Thursday we ended up forming a hammer. It now seems as if the market is trying desperately to break out above the $40 level, but above there USD you producers will start flooding the market with supply. It is because of this that we believe that this is a market that should probably be avoided at the moment, but we do recognize that there is a significant amount of bullish pressure. Ultimately, if we can break down below the $36 level, that would be very negative and could have us selling. Either way, one thing you can count on is that it is going to be a very tight market, as there are a lot of different headwinds blowing back and forth. Brent markets initially fell during the day, but turn right back around to form a hammer as well. 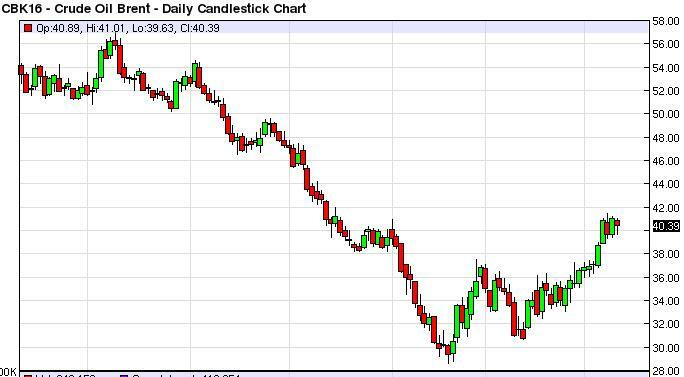 Looks as if the $40 level is offering quite a bit of support, so it’s likely that the Brent market could go higher. The $42 level will be a bit resistive, but at the end of the day if we can clear that on a daily close, we really don’t see anything stopping this market from reaching the $46 level over the longer term. A break down below the bottom of the hammer during the session on Thursday would be reason enough for us or selling, as we can fairly easily reach the $38 handle.A move below the $37 level would be extraordinarily bearish, and continue the longer-term downtrend. However, it looks very unlikely this point in time, as the markets continue to favor buying at this moment. However, just as we have shell producers in America working against the value of oil, one has to be aware of the fact that the containers at Rotterdam are completely full. This rally seems more engineered than anything else, based upon a few words out of a couple of oil minister’s mouths.